Over the last several months I have been having this conversation with many of my patients who experience anxiety, sleeping problems, panic attacks and depression. The conversation I have been having with these patients is what prompted me to shoot today’s video. Today’s video is about Glutamine, Glutamate and GABA the relationship between these three and how some cases of anxiety may be traced back to this imbalance. If you are taking glutamine perhaps because you have GI problems or you are a diabetic and you suffer with anxiety, or if you have thyroid disease and you suffer with anxiety- you are going to want to watch today’s video and learn about these connections. I’m also going to talk about an enzyme that becomes the target of an attack by the immune system. This in turn can cause glutamate to get backed up and cause high blood sugar, diabetes, anxiety and panic. I will talk about some of ways you can natural boost your body’s anti-anxiety neurotransmitters. I’m not talking about taking psychiatric medications here. Finally, I will spend some time talking about some of the supplements that can in some cases, actually exacerbate anxiety. Symptoms of a Glutamine-Glutamate-GABA imbalance. Then we can get into what each of these are, what they do, and what you can do to naturally balance them. Take a good look at these symptoms….How many of these can you identify with? Stressed disposition for as long as you can remember. Are there other metabolic problems that can cause these symptoms? Of course, and that’s why if you are struggling with these problems you will want to find a good Functional Medicine Doctor who can put these pieces of your health puzzle together. Speaking of Glutamate and GABA, Glutamate, Glutamine are amino acids while GABA is neurotransmitters. These are chemical messengers released by nerve cells in your body. All the neurotransmitters in your body are classified as either Excitatory or Inhibitory. You can think of Neurotransmitters functioning like the gas pedal and the brake pedal in your car. Glutamate or Glutamic acid (same thing) happens to be an excitatory neurotransmitter (pushes down the gas pedal or excites the nerves. 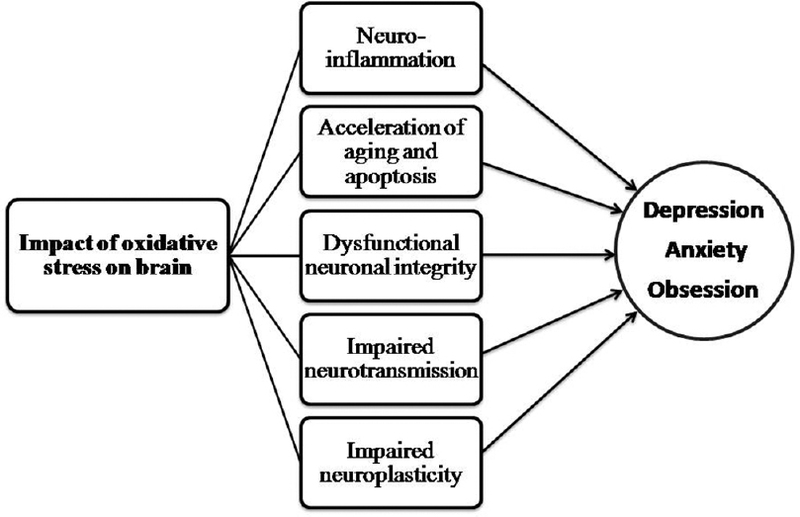 GABA is an inhibitory neurotransmitter. (puts the breaks on) Think of GABA like the brain’s natural anti-anxiety ie Valium. As you can imagine, if you have an imbalance between Glutamate/Glutamic acid (the gas pedal) and GABA (the break pedal) you are going to suffer the consequences. 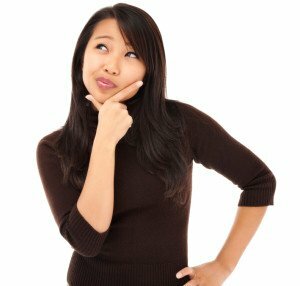 Do you feel wound up?, anxious?, panicky?, do you feel like you are always on the go?, do you have trouble getting to sleep? Do your legs twitch at night? 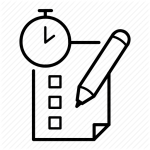 Do you feel like something always has to be done? If you do we want to start thinking about that gas pedal not being balanced with the brake pedal. What happens when someone feels like this is that often go to their GP or they go to a psychiatrist ? Chances are if you have already complained to your doctor about these symptoms, you are already taking a prescribed drug like a Benzodiazepenes. 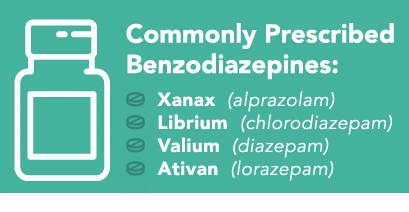 Benzodiazepines are used as sedatives, hypnotics, anxiolytics, anticonvulsants and muscle relaxants. These Drugs keep GABA levels (calming/brake pedal Neurotransmitter) around longer by blocking the effects of neurotransmitters that want to push the gas pedal down. So by taking these drugs, you have more GABA hanging around and you feel calm. But taking a drug like Xanax, Valium, Ativan, Klonopin etc you still haven’t identified what is causing the problem. How can you try to fix something, if you don’t know why or how it was broken? The real problem however, is that if you never focus on the root cause, and all you do is take these drugs, in time, they will control you and turn you into a zombie. There is more to overcoming anxiety than simply taking pills that increase your GABA levels and this is where Functional Medicine can have a huge impact on your life. Now you might be thinking- Glutamate is bad and GABA is good. There is much more to this story. Because of its role in synaptic plasticity, glutamate is involved in cognitive functions such as learning and memory in the brain. In order for you to learn new things, create memories you need glutamate. But here is the catch, when it comes to Glutamate,- because it is excitatory- too much glutamate being taken in to your nerve cells will is toxic to them. We call this a neurotoxin. This is called glutamate Neurotoxicity and its happening to millions of people every day. They just don’t know it’s happening. Take A look At This….It Will Help You Understand This A Bit More. 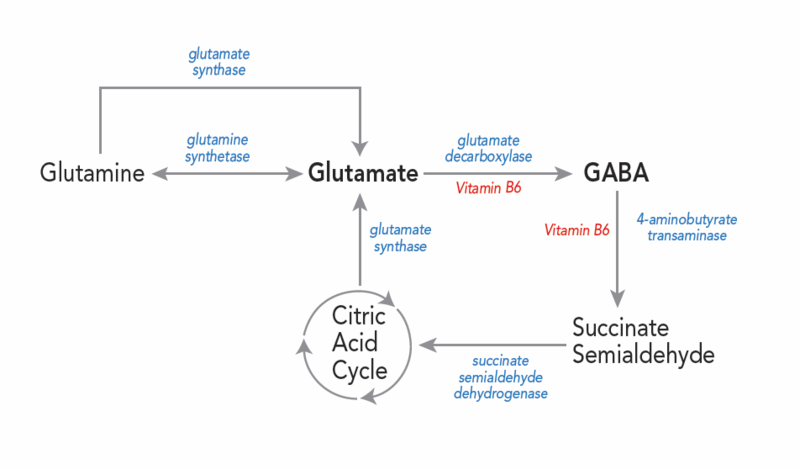 I want you take a look at this very powerful illustration showing the relationship between Glutamine, Glutamate (aka glutamic acid) and GABA. So there are three important amino acids you see here. You are probably more familiar with these than you realize. You will notice Glutamine all the way on the left- Glutamine is a frequently recommended natural supplement for people who have problems like leaky gut, ulcers, inflammatory bowel disease. Next you will notice Glutamate again also known as Glutamic acid- this is found in things like MSG, Soy protein, Hydrolyzed Vegetable Protein, Soy sauce, Soy protein isolate, things that say “Natural Flavoring”. In fact, if you have anxiety- when you get done watching this video head over to my website and download a free PDF list of all the names MSG is disguised as and start reading your labels and start eliminating them. The more of these you eat, the more cumulative effect they can have on your brain. So just be aware of this. For some people additional amino acids we talked about earlier can also have a similar effect. Things like aspartame and amino sweet- these are you’re your synthetic sugars that many people unknowingly consume in their diet sodas and the gum they chew. Back to the picture. You will notice that on right you have GABA. This is what we have been talking about. You will notice arrows between Glutamate and Glutamine. These guys change back and forth into one another as the body needs them. 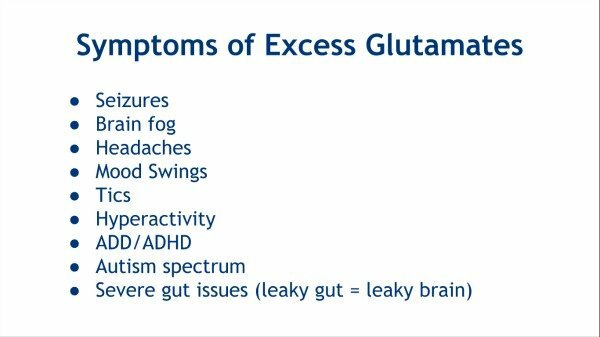 This means that if you are taking glutamine, taking to much of it say for gastrointestinal support and you notice that your experiencing increased anxiety, inward trembling, and fear, Insomnia, IBS, pain, Brain fog, etc you could potentially be increasing the level of glutamate. And this would be a bad thing. A couple of other things I want to share with you about amino acids, anxiety, Brain fog and panic attacks. Let’s talk about Glycine. I use Glycine with a lot of my patients. It does some really awesome things for people who need it. But, If the balance in your body leans towards glutamate, glycine and amino acids like alpha ketoglutarate and aspartate will be excitatory and here again if you are taking these amino acids- you can feel anxiety increasing. There is one more thing I want you to know about this picture. In order to convert Glutamate to GABA there is an enzyme called GAD 65 is needed. This enzyme helps you make more calming neurotransmitters GABA but it also plays a role in diabetes. This enzyme, if attacked by the immune system can cause excess glutamate to build up leading to anxiety and sometimes with my patient I will test to see if they have antibodies against this enzyme. Another way this glutamate can build up is due to a B6 deficiency. Like I promised in the beginning of the video I now want to share some way you can improve your anxiety naturally. Address your stress- physical stress, emotional and chemical stress can cause your adrenal glands to work harder than they should. This causes elevations of cortisol. These high levels of cortisol have been shown to damage the brain- especially the areas of the brain called the limbic system, The prefrontal cortex, amygdala and the hippocampus. These are the areas where emotions and long-term memories are stored, areas where learning and behaviour are controlled and our emotional centers. Address things like Oxidative stress-below is an example of test of one of my patients who has a lot of oxidative stress and has been diagnosed with agoraphobia and generalized anxiety disorder. 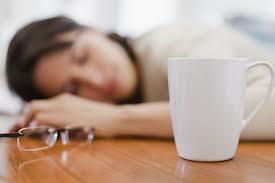 You will notice she has a lot of oxidative stress- specifically a marker called 8-hydroxy-2-deoxyguanosine. Correcting nutritional deficiencies like B12 and B6, folate. Eat lots of blueberries and foods rich in antioxidants. Correct a leaky gut, we know a leaky gut causes a leaky brain. If you have a past history of a concussion, traumatic brain injury- you may also have a leaky blood brain barrier. We recommend this screening test, especially if you have a history of head or neck trauma. So those are some good guidelines but there is more that you can do. There are many different supplements that help as well. Things like Taurine, Valerian root, Lithium orotate, passion flower, GABA, L-theanine, magnesium L-Threonate– the list goes on and on. Don’t be discouraged that if you have tried these things and they haven’t helped. There is more than one reason why you or a loved one is experiencing and struggling with these problems. 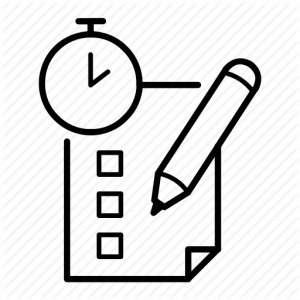 In many cases there are many factors or pieces of your health puzzle that still need to be identified. This is why we test many different areas. Things like hormones, gut health, amino acids levels, Thyroid, Food sensitivities,Leaky gut, Infections, Nutritional Deficiencies, Inflammatory markers, gut absorption etc. Here again this is why working with a knowledgeable experienced Functional Medicine Doctor will be able to put the pieces back together for you. 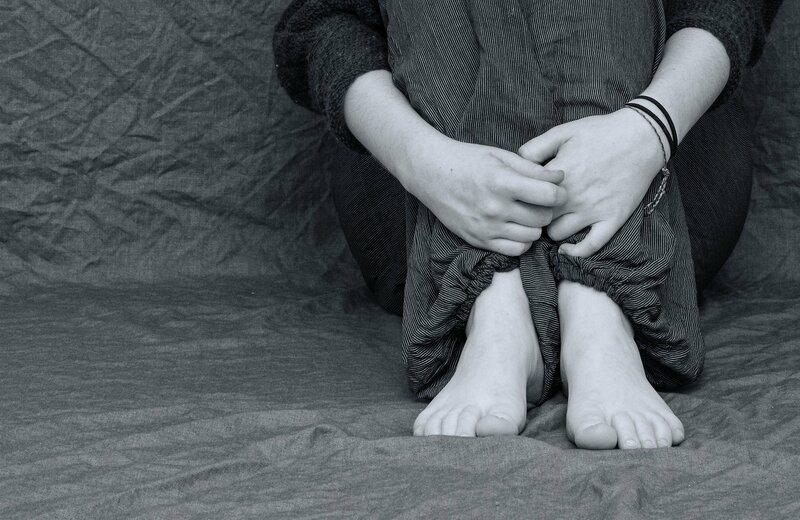 Are You Still Feeling Depressed, Anxious and Distracted Despite Taking Medications?